We have refreshed our charts to include new releases and changes in item pricing. The 2019 chart is divided into two price points – $200 and higher as well as $199 and below. The chart also focuses on tables that have Reiki endplates, or partial Reiki support out-of-the-box. Another new feature is the movement of the entries in the rankings. An unchanged, risen, declined or new entry is indicated by an icon below the rank number. Breaking up the chart into these price points will allow you to come up with a much better decision. Simply choose the one that fits your budget and use case. Whether you’re a professional or a home user, there’s certainly one that is right for you. One of the widely known and used energy healing modalities is that of Reiki Energy healing. Reiki healing is based on the concept of the existence of the universal energy called “Ki”, which is the Japanese term for the revitalizing energy of the Creator. 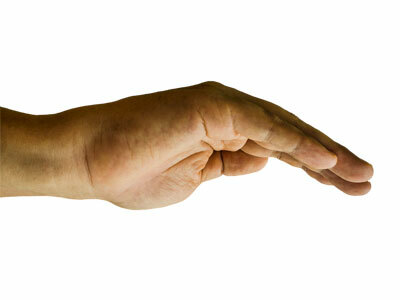 Using hand positions which correspond to the positions of the seven chakras, the Reiki practitioner channels the “Ki” to the damaged part of the recipient’s body. 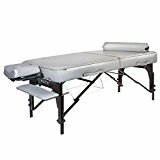 Reiki healing is generally done while the recipient is lying prostrate and as such, the need for dependable and durable Reiki tables is very much an imperative in the proper and effective performance of Reiki healing. In traditional Reiki healing sessions, patients or recipients of Reiki healing are asked to lie down on traditional Japanese beds called “futons” which consist of padded mattresses with flexible and pliable quilts that could be easily folded and carted away to storage places. Futons usually came in handy during the early years of the development of Reiki healing modalities. In fact, futons served as Reiki tables where most Reiki healing took place. Since these futons were easy to store away during day time and portable enough to carry to any location, they made a lot of miraculous Reiki healing. With the advent of modern technology and state-of-art equipment and tools, most pieces of furniture have also evolved and became more conveniently customized. 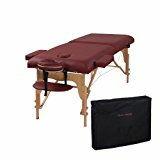 Reiki practitioners nowadays have a wide range of choices as to what kind of Reiki tables to use in their Reiki clinics. 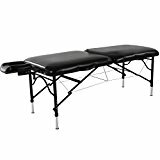 In fact, one of the most exciting aspects in the Reiki practice is the act of choosing which Reiki tables to use during the healing sessions. Sometimes, people who undergo Reiki healing are meticulous about the kind of bed they would like to lie down. Some would prefer a metal-framed bed, while others would like to use a wood-framed bed. However, Reiki is an energy healing method and as such, you really have to consider the kind of materials your Reiki tables are made of. You can choose between wooden beds or metal beds. Wood gradually absorbs energy and have a slow energy vibration as compared to metal. However, wood is less resistant to toxic energy. Therefore, it needs frequent clearing from absorbed toxic and negative energy. On the other hand, metal does not easily absorb negative vibrational energy and consequently do not need frequent vibrational clearing of toxic energy. 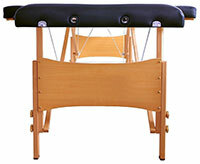 The second consideration you should have in choosing Reiki tables is that of comfort. You should have a lot of options (tables with various sizes) for your clients to choose from to make them feel more relaxed. Some clients are tall while others are short of stature. 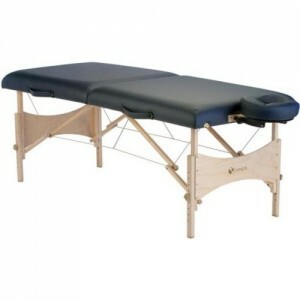 You should have an array of long and short Reiki tables from which they could choose what suits them most. Likewise, many recipients of Reiki Healing are suffering from some forms of maladies. Thus, paramount in your choice of Reiki tables should be their utmost comfort. Some clients are lacking the necessary mobility to move around your clinic. 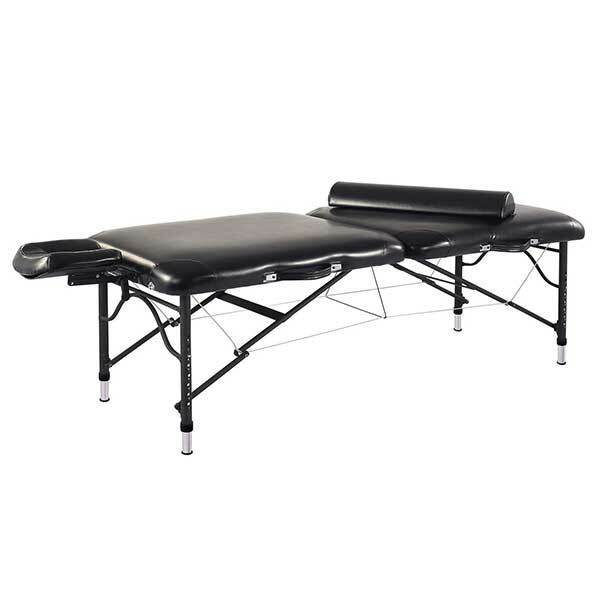 You should therefore, consider the portability aspect of your Reiki tables. Can you cart them away to the place where your client is in case your clients are weak and debilitated? 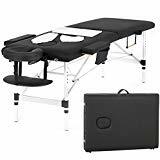 Moreover, your Reiki tables should be portable in case you would like to rearrange your clinic to accommodate more patients. Another important consideration is this: do you intend to teach Reiki, or do you only want to practice it? If you intend to use your tables for some Reiki tutorials, you should have more of them. Some furniture companies give discounts. 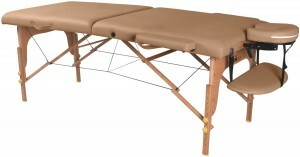 Reiki tables, likewise, are often offered for sale. So if you want to buy more tables, it’s good to be on a look out for discounts. There are many tables and beds available in the market nowadays. 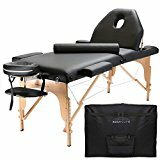 To avoid buying wrongly, you should know the difference between Reiki tables and massage tables. Reiki tables are open underneath because Reiki practitioners usually do their healing while sitting beside the table where the patient is lying prostrate. 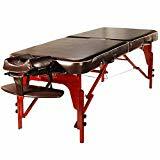 On the other hand, massage tables have kneelers around them because masseurs usually do their massage while kneeling. You should also make sure that the head rests are well padded and that they fit suitably to the dimensions of your Reiki tables. The head rest is a necessity in the Reiki healing sessions. It eases out the tension between the head of the client and the bed. Furthermore, it allows the recipients of healing to relax their head which is critical in the healing process. For this reason, you can add extra padding if the patient feels that his head is uncomfortably positioned during healing. Some Reiki clients are coming from faraway places. Some of them have given up on scientific methods of healing and have resorted to Reiki healing as their last resort. As such, they would usually pay some amount of money just to be healed. I would advise you, therefore, to buy Reiki tables according to your means and profits. Don’t buy tables which you would never need. However, as you gain more clients, use your savings to buy more cozy tables for your practice and for your clients’ comfort. Lastly, always buy tables from furniture companies which have warranty for their furniture. Don’t lose your warranty form for reasons that they may come in handy if your Reiki tables suddenly break down or are damaged. You could have them replaced or returned in cases of damage within the specified warranty time. Reiki healing is quickly becoming a popular alternative healing modality throughout the whole world. Various Reiki books have been written about it and I guess if you want to know more about the Reiki practice, you could avail yourself of one of these Reiki books. Likewise, always remember that in the practice of Reiki healing, it would be of great help if patients could lie comfortably on highly customized Reiki tables for the most effective channeling of the “Ki” energy to the damaged parts of the patient’s body. 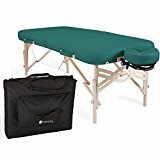 Q: What is the difference between a Reiki table and a massage table? Both are essentially the same. You can buy either without issues. The main distinction is on the endplates. Endplates provide additional support to the table, but Reiki practitioners may need the space where the endplates reside. These professionals normally sit down during a session. When performing Reiki on the head portion, they need to insert their knees into the table in order to reach the head of the client with ease. That’s why a Reiki endplate is used instead of the standard endplate. Q: What is the difference between a wooden frame and an aluminum frame in Reiki? In Reiki, wood and metal charge energy differently. When it comes to tables, Reiki practitioners are specific in their choice of materials. One such preference is an environmentally friendly frame. Moreover, wood absorbs energy while metal, or in this case, aluminum charges energy. This means that aluminum can transfer energy with ease but can’t absorb toxic energy like wood. Ultimately, it comes down to preference and your tolerance to the table’s weight. Aluminum is substantially lighter than wood. 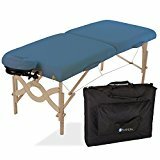 Q: What are the typical dimensions and weight of a portable Reiki table? 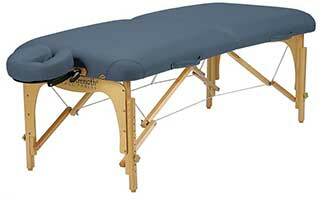 Portable Reiki tables are usually 72 inches long (6 feet), 27 inches wide (2.25 feet) and 23 inches high (1.9 feet). Height can also be adjusted and raised up to 33 inches (2.75 feet). A wooden table typically weighs around 38 lbs. while an aluminum table is about 10 notches lighter (28 lbs.). There are accessories that can add to the length and width of the table, such as a headrest and arm rests. However, they also increase the overall weight. Durability is often linked to the reputation of the manufacturer. Brands like Earthlite, Oakworks and Master Massage are regarded as manufacturers that build long lasting tables with strict quality assurance, but they also command a higher price. On the other hand, BestMassage and Sierra Comfort are considered as cost effective. Q: What brands are the most sought after? Beginners are often attracted to budget range units while experienced practitioners who have used several tables over time tend to go for the premium brands. Popular brands for Reiki practitioners include Earthlite, Oakworks, BestMassage and Sierra Comfort. 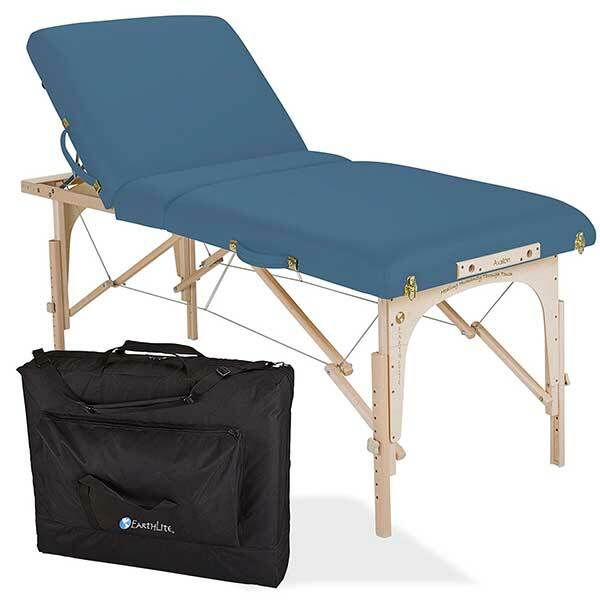 Q: How much does a portable Reiki table cost? Tables in the budget range cost anywhere from USD 59.99 to USD 169.95 while premium tables are in the USD 230-400 range. Check out our Reiki Table Chart above which lists tables from both price points. Q: What is the best foam thickness for a portable table? The thicker, the better. Most tables come with a 2 to 2.5-inch foam padding. Some have 2.75 to 4-inch foam but can cost a bit more. Other manufacturers apply their own technology to the foam to make it thicker or at lease make it feel dense. In most cases, a 2.5-inch foam padding should suffice. Q: What is the material used to protect the foam? 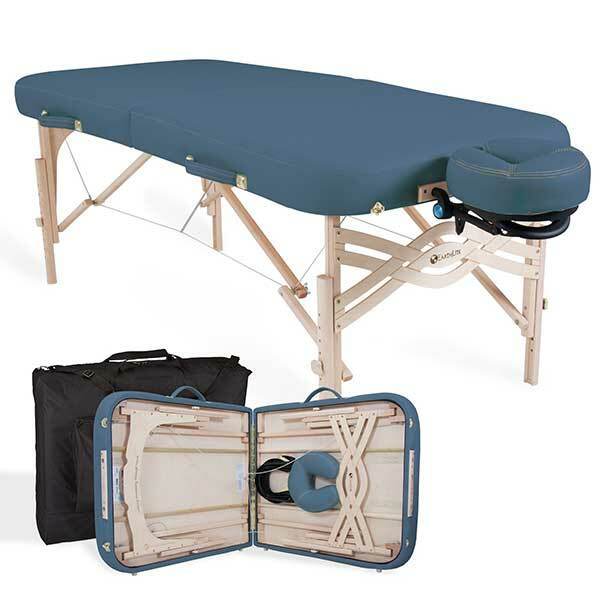 Most, if not all portable Reiki tables use PU leather. It is also the material used in various kinds of stuff, including car interiors, couches, computer chairs, mobile device cases, bags and many more. Because it is a synthetic version of leather, PU leather is less toxic and is cheaper to make than animal leather. The material is continually being improved by industry experts so that it can be more eco-friendly. Even though PU leather has many advantages, it is still far less durable than the real one. Q: How do I maintain the condition of my table? The PU leather covering will most likely be the one to deteriorate over time. To prolong its lifespan, keep it away from sunlight as much as possible. Frequent exposure to it will cause the material to dry up and eventually crack. You can use warm water and soap or dish detergent to clean the surface. 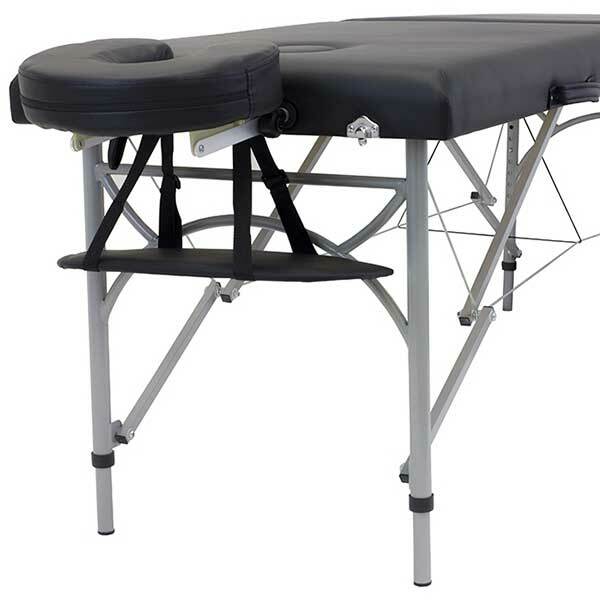 Most practitioners use a massage table sheet to protect their tables from heat and moisture. Additionally, a large percentage of tables have been tested to hold a maximum working weight of 650 lbs. Anything beyond that can cause tension to the legs. Q: How do I carry around my portable Reiki table? If you can put up with carrying a 30-40 lb. table, then the carrying bag that’s included in the package should be enough. The carry bag can be held by hand or the straps can be put on the shoulder. 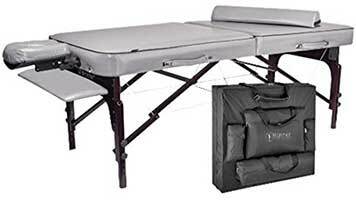 Otherwise, you can purchase a massage table cart for maximum convenience. Q: Where can I return my unit for service or replacement? All manufacturers offer a warranty on the table frame and its parts (accessories not included). The duration varies from 1 year to 5 years. Many premium brands give a lifetime limited warranty on the frame. This means that if a leg or wire breaks, the manufacturer will fix or replace it at no cost to the original purchaser. Great options of stretchers for Reiki application.